No matter what weight loss diet you follow, like the GM diet, Military diet, Ketogenic diet etc… it is highly recommended by the dieticians to take a multivitamin tablet everyday. And, the reason behind this very simple. Every diet plan on this planet suggests a limit on some foods from their menu. So, in such cases, you’ll not be getting the complete nutrition from the limited number of food choices. Deficiency in any one of the essential vitamins and minerals causes metabolic breakdown and as a result your performance and efficiency are affected in a negative way. Therefore, taking a multivitamin capsule while you’re trying to lose weight would help you not miss those vital vitamins and minerals that your body requires to meet its needs. Note: This requirement increases if you’re a bodybuilder, athlete or you lead a very active lifestyle. Everyone needs vitamins for survival as they control the chemical reactions within the body to convert the foods that you consume into energy and living tissue. Water Soluble Vitamins (Vitamin C & all the B Vitamins): These should be consumed daily as they’re not stored in the body. Fat Soluble Vitamins (Vitamin A, D, E and K): These are stored in the body. The minerals are inorganic and much more stable in food preparation when compared to vitamins. Macro/Major Minerals (Calcium, Potassium, Phosphorus, Sodium, Chloride, Magnesium and Sulfur): We require these minerals in dosages more than 100 mg per day. Micro/Trace Minerals (Iron, Zinc, Iodine, Selenium, Chromium, Copper, Manganese, Fluoride and Molybdenum): As the name suggests, we only need trace amounts of these minerals. And, since you can’t get all the minerals and vitamins while you’re on a special weight loss diet, it is therefore suggested to take a multivitamin pill/tablet to avoid any deficiency. 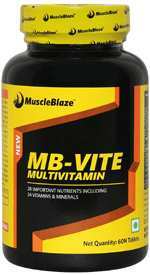 Our first choice when it comes to the best multivitamin supplements in India. Amway is one of the most trusted names in the industry. You’ll be getting 13 essential vitamins and 11 minerals along with phytonutrients in the form of herbal extract. It contains no artificial colors, flavors or preservatives. Ideal for regular men and women with sedentary lifestyle or desk job. A single bottle contains 120 tablets and can last up to 4 months (1 tablet per day). The ON is catered especially to active men with different needs. It contains 75 active ingredients, 22 vitamins and essential minerals. 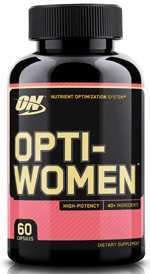 Just like the men’s special multivitamin from Optimum Nutrition, you also have a women’s special multivitamin supplement. 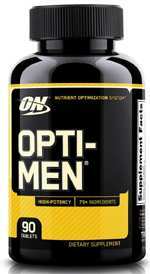 This supplement provides all the essential nutrients required by a women everyday. It contains 40 active ingredients, 23 vitamins and essential minerals. You get 100% DV of Iron & Zinc – two of the most essential minerals every women needs. You also get 600 mg of Folic acid and 150 mg of Calcium. Ideal for women who’re married or above 25 years of age. A single bottle contains 60 tablets and lasts for 1 month (2 tablets per day). Another good name in the supplements industry and you’ll definitely know this brand if you’re into fitness. It contains 24 essential vitamins and minerals along with 4 super antioxidants. A single bottle contains 120 tablets and lasts 4 months (1 capsule per day). 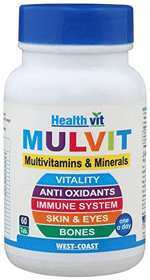 One of the best multivitamin supplements for both men and women. Improves your immunity, promotes skin health, good vision and bone strength. You get all the essential vitamins and minerals required for the perfect functioning of your body. Ideal for men and women with sedentary and light active lifestyle. A single bottle contains 60 tablets and lasts up to 2 months (1 capsule per day). That’s all friends! These are the Top 5 Best Multivitamin Supplements in India for both men and women. If you’re following any special weight loss diet like General motors diet or 3 day Military diet or any diet for that matter, please don’t forget to take a multivitamin tablet daily to avoid any deficiencies.